Hear from some of the brightest industry thought leaders as they discuss the latest trends and groundbreaking shifts in the unified communications and collaboration space. General Sessions also take place on the Enterprise Connect Keynote Stage, and are open to attendees with any paid Conference pass, as well as to Expo Plus pass holders. 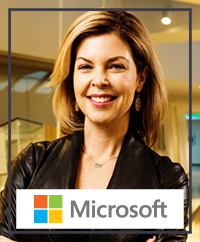 Lori Wright is General Manager of Microsoft 365. Lori’s portfolio includes all of Office 365 Collaboration Apps including Microsoft Teams, Outlook, Yammer and Skype. Lori is passionate about creating a culture of purpose, transparency and balance on her own team – living out the mission of the products. Lori developed her business expertise through previous executive roles including Chief Marketing Officer at BlueJeans Network and Chief Marketing Officer at TIBCO. Before joining TIBCO, she served as vice president at Symantec overseeing worldwide e-commerce sales of Norton software. Lori held executive positions within Symantec's Cloud and Enterprise divisions over her 11-year tenure including the acquisition of VERITAS by Symantec. Lori started her career at Walt Disney World Co. in marketing and sales and holds a B.A. in Business from the University of Central Florida. Pasquale is the General Manager of Amazon Connect, a self-service, cloud-based contact center based on the same technology used by Amazon customer service associates around the world to power millions of customer conversations. Two years ago Pasquale led the effort to bring Amazon Connect from an Amazon-wide customer service tool to a publicly available Service from AWS. 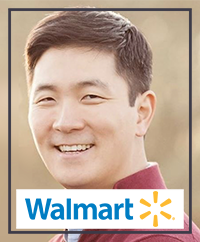 He has 20 years of experience in delivering world-class b2b and b2c products. 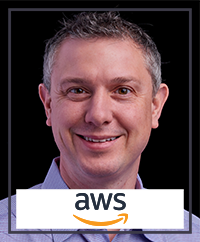 Prior to Amazon Connect, Pasquale has worked on machine learning, augmented reality, maps, and mobile. 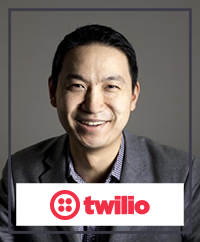 His specialties include customer experience, user experience, and technology innovation. 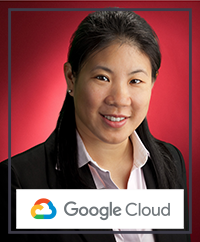 Rany Ng is Director of Product Management at Google Cloud, where she leads product strategy and development for G Suite Meeting Solutions, including Hangouts Meet, Hangouts Meet Hardware and Jamboard. 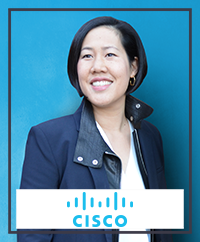 She is driving both software and hardware solutions for enterprises to transform and scale unified communications and collaboration. Prior to this role, Rany led video advertising products at Google for YouTube, Google Video Partners and DoubleClick. For over 10 years, she developed innovative programmatic and auction-based advertising solutions across TV, digital video and mobile for agencies, marketers and publishers. 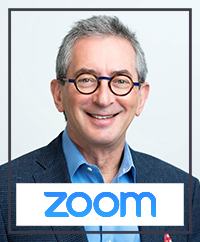 Rany has previously worked as Vice President of Product Management at DoubleClick, IBM's Venture Capital Group and Goldman Sach's Technology Division. She is the founding Board of Trustees chairperson for the Central Queens Academy Charter School in New York City. Rany holds an MBA from the University of California, Berkeley and an ScB in electrical engineering from Brown University. Hear from leaders working to build a new vision for the next generation of enterprise communications and collaboration. As communications and collaboration technologies become increasingly software-centric, many enterprise IT executives find themselves in a quandary. They must build multidisciplinary teams of IT professionals who not only understand the ins and outs of real-time communications applications and infrastructure, but also know how to leverage communications APIs for advancing the enterprise’s Digital Transformation goals. This often means breaking down traditional barriers between distinct IT disciplines, mindsets, and cultures. At the same time, the rise of communications APIs and learning tools for new programmers are empowering business units to meet their own needs -- whether that’s adding click-to-call functionality to an existing business process or creating an app from scratch to address a new business requirement. In this panel discussion, learn from enterprise IT professionals who have addressed such challenges within their communications and collaboration organizations, and are successfully leading their staffs and users into a developer-focused future. 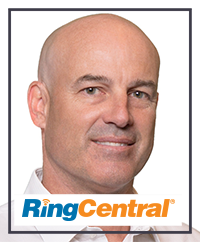 The enterprise communications/collaboration environment is changing so rapidly that at times it may seem impossible to keep up. How can you create a strategic plan for your technology systems when new functionality is constantly emerging, and technology enablers like the cloud and AI are continually changing the shape of the marketplace? How do you make sure you really understand what your end users and customers need from your enterprise communications systems—and then deliver these capabilities while remaining agile enough to respond when the requirements change again? To open our Tuesday General Session program, we’ll continue the Enterprise Connect tradition of assembling a panel of enterprise IT decision makers and posing such questions to them. You’ll hear firsthand how your peers are navigating the evolving landscape; learn which technologies they consider immature, which are overhyped, and which are ripe for deployment in enterprise environments. They’ll also share their biggest near-term challenges, as well as how they’re addressing those. You’ll come away from this spirited exchange with fresh ideas and authoritative perspectives about where the industry and its technologies, services, and vendors stand today; where we may be headed; and how you can keep up with such a dynamic environment. Many enterprises are starting to take a more holistic view of communications and collaboration technology, trying to understand it in the context of the places and the ways people work. Whether in the growth of video-enabled huddle rooms or the imperative to match collaboration tools with users’ needs, it’s becoming clearer than ever that technology is only one element of the way that people work together. In this final General Session of Enterprise Connect 2019, a panel of experts will debate and discuss the impact that workspace and future of work trends will have on technology decision-making. They’ll also discuss the ways that enterprise IT/communications decision-makers can work with their counterparts in the Facilities/Real Estate and HR departments, to ensure that technology is truly an enabler for better collaboration. You’ll come away from this session with a better idea of how to make sure that you’re getting value out of your technology investments by making sure they fit into your end users’ work environments. Close out your Enterprise Connect conference experience with a fast-paced, freewheeling discussion of the biggest trends and most interesting developments from an exciting week. The Enterprise Connect Locknote & Town Hall brings several of the key program contributors to the stage for a lively discussion and debate aimed at helping you solidify your takeaways from the event, as well as giving you a last chance to ask the experts whatever final questions you have. Join us for one last discussion before we close out Enterprise Connect 2019.